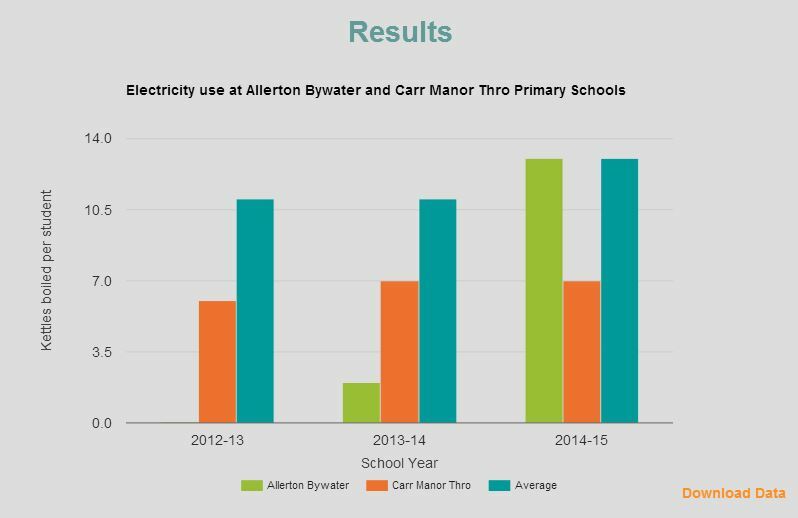 Developed by Tom Forth of Imactivate, the schools energy explorer takes the council energy consumption dataset published by Leeds City Council and compares energy use at your school with other local schools over a period of up to five years. Each schools energy use is normalised to the number of pupils, and is represented as the equivalent number of kettles that could be boiled with that amount of energy. You can also download a comparison report or it is available for print.